The MOOC ModPo Poem of the Day for September 29, 2014 is "A Long Dress" by Gertrude Stein. The poem was first published in Tender Buttons in 1914 and is in the public domain and therefore legally reprinted here. Gertrude Stein (1874 - 1946) (pictured) was an American expatriate who lived almost all of her adult years in Paris. Her abode at 27 rue de Fleurus, where she lived with her secretary and life-long lesbian lover Alice B. Toklas, was known for its salons and soirees. Among her frequent guests were Picasso, Matisse, Juan Gris, Hemingway, Fitzgerald, and Sherwood Anderson, upon whom Stein is thought by some scholars to have had no small influence. Said to be analogous to Cubism, Stein’s poetry, for the most part, eschewed narrative and literal meaning in favor of a language that used words in a referential rather than representative manner. Exactly to what her words referred was and is a matter of some debate, and many critics found and find her work to be incomprehensible, bizarre ranting, or even gibberish. Her work was largely self-published and was and is largely unread, despite her fame and influence. Fellow writer and critic Katherine Anne Porter saw Stein’s work as four-dimensional in quality, showing what is, was, will be, could-have-been, and wasn’t—everything and nothing all at once. Yes, that is a difficult concept to grasp, and I do not pretend to grasp it—but I would like to be able to grasp it. To learn to understand Stein is perhaps to learn to understand language and meaning from every possible angle, to comprehend a kind of linguistic hypercubism. Reference to this and additional biographical information may be found here: http://www.poetryfoundation.org/bio/gertrude-stein. Analysis: Stein perhaps used "what" in a way similar to how Dickinson used "this." Supporting this is the lack of question marks and the use instead of periods to indicate statements. So, Stein introduced a new, algebraic meaning for the word "what," in this case to refer to "the current that makes machinery." She could have written just as easily, "X is the current that makes machinery." She went on to define "what" as "the wind" and as "it." "Where" is used in a similarly referential manner. "Where" refers to the abstract concept of length. Abstract, for what is "length," particularly if we accept a geometric definition as "an infinite number of zero-dimensional points strung between two distinct and separate theoretical points?" For it is between these points that "a dark place is not a dark place." It is between these points that define geometric length that there should be the complete darkness of no dimensions, but surprisingly there is no darkness as the zero-dimensional points coalesce into the "serene" uni-dimensional concept of line or length--"a line just distinguishes it." Returning to "what," Stein may have meant "what" to refer to the mysterious force, "current," or phenomenon in the universe that allows a series of zero-dimensional points to create "a long line" and a line able to represent a curve or "necessary waist." Stein supposes a "wind," another kind of force, to be referential of this "what. Finally, Stein offers an explanation of what colors are at an atomic level. "A white and a red are black," in that each piece along something white or red (or any color) can be theoretically reduced to a colorless or "black" zero-dimensional point. Pink, which is red (or "scarlet") mixed with white may be reduced down to scarlet at the atomic level. "Yellow and green are blue," as any child knows, is a little mixed up, as yellow and blue make green. However, this "mix up" causes the reader to think again at the atomic level--yellow and green (chartreuse) reduced to a near zero-dimensional state will reveal the blue in the green, despite the "extra" yellow. And a bow? Bows are bent. White light that is bent, as through a prism, is split into "every color." Songs of Eretz Poetry Review is pleased to present a MOOC ModPo bonus feature, "The rose is obsolete" (first published in Dial, 1920) by William Carlos Williams. The poem is in the public domain and therefore legally reprinted here. An audio recording of a reading of the poem by the poet may be found here: https://media.sas.upenn.edu/pennsound/authors/Williams-WC/15_Princeton_03-19-52/Williams-WC_02_Portrait-of-a-Lady_Princeton_03-19-52.mp3. Williams was the Songs of Eretz Poet of the Month for August 2014. A brief biography of Williams and references may be found here: http://eretzsongs.blogspot.com/2014/08/the-songs-of-eretz-poet-of-month-for.html. "Portrait of a Lady" is a satirical examination of the frustrations faced by a modernist poet attempting to compose a traditional love poem, probably a sonnet. Throughout the poem and intruding upon it are the musings of the poet as he composes it. This creates a satirical meta-poem--a poem about the process of writing a modern love poem. In an attempt at originality, the poet begins by describing his lady's thighs--most traditional poets would have started with her eyes (which rhymes with thighs). He then tries to choose an unusual (to be diplomatic) metaphor for his lady's thighs, doubtless in an attempt to avoid cliches. The unfortunate apple tree touches the sky with its blossoms--a cliche if ever there was one. So, the poet attempts to mitigate this by evoking the sky of Watteau--a poor choice, as Watteau was a Rococo painter. Moving on to his lady's knees, the poet at first compares them to a southern "breeze," nicely rhyming with "knees" and "trees." The poet immediately realizes that he has written a horrible cliche, just what he was trying to avoid, and hurriedly contemplates substituting "a gust of snow," of all things, in an attempt to be modern. the sky where Watteau hung a lady's slipper. Your knees are a southern breeze. Below the knees one of those white summer days. The sand clings to my lips. It must have indeed been difficult and frustrating for the modernists to break away from the expectations of a traditional love poem. This is still a problem for the poets of today. My advice? Stick to the old school stuff when writing poetry for the purpose of wooing women. It may be a cliche and tired way to go, but it still produces the desired results--perhaps better than any other form will ever be able to do so. The Songs of Eretz MOOC ModPo Poem of the Day for September 27, 2014 is "The rose is obsolete" (from Spring and All, 1923) by William Carlos Williams. The text of the poem may be found here: http://www.writing.upenn.edu/~afilreis/88v/wcw-rose-obsolete.html. Williams was the Songs of Eretz Poet of the Month for August 2014. 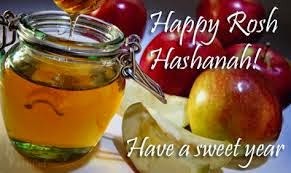 A brief biography of Williams and references may be found here: http://eretzsongs.blogspot.com/2014/08/the-songs-of-eretz-poet-of-month-for.html. Modernist poets were trying to divorce themselves from the cliches of the Victorian Era that preceded them. 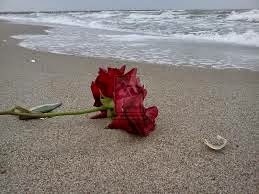 And so dies the rose--that timeless metaphor for love. With the demise of the rose metaphor also came the demise of flowery language (pun intended). However, in "The rose is obsolete," Williams does not mean that the rose can no longer serve anything but a cliche, laughable role in poetry. 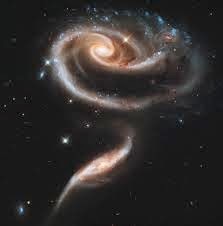 On the contrary, Williams sought to remake the rose and reshape the metaphor into something "sharper, neater, more cutting," perhaps made of different non-silky soft materials such as "copper roses / steel roses." It is at the crisply defined edge of the petal of the rose where the new metaphor began for Williams. He saw that rarified edge as a jumping point, as a point in contact with the entire universe and all of its possibilities. "It is at the edge of the / petal that love waits." Songs of Eretz Poetry Review is pleased to offer a MOOC ModPo bonus feature, "In a Station of the Metro" by Ezra Pound (1885 - 1972) (pictured), first published in Poetry in 1913. 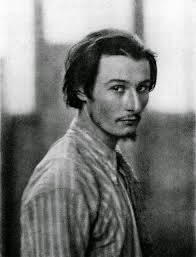 A brief biography and references may be found here: http://eretzsongs.blogspot.com/2014/05/poem-of-day-girl-by-ezra-pound.html. The poem is in the public domain and therefore legally reprinted here. In "In a Station of the Metro," the white spaces may carry more content than the black words. Ezra Pound used white spaces within lines instead of line or stanza breaks to indicate the linear movement of a train from which he was observing things that passed. Faces were blurred, appearing as "apparition." 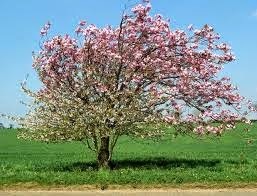 Upon passing a tree, first the petals of the flowers at the end of the branch were observed, then the black bough. The space before the period at the end of the poem indicates that the train moved on, but the observer stopped recording observations at that point as it passed through the station. 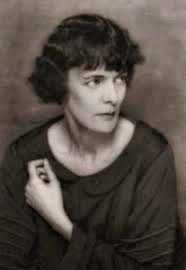 MOOC ModPo Poem of the Day: "Sea Poppies" by H. D.
The Songs of Eretz MOOC ModPo Poem of the Day for September 26, 2014 is "Sea Poppies" (1916)* by Hilda Doolittle (aka H. D.) (1886 - 1961). An extensive biography and references may be found here: http://www.poetryfoundation.org/bio/h-d. The poem is in the public domain and therefore legally reprinted here. "Sea Poppies" provides a good example of the kind of rhythm that the Imagists sought in their poetry--a rhythm that follows a musical cadence rather than a strict form. The free verse is quite free, with irregular stanzas and lines that vary considerably in length, yet the poetry flows smoothly. 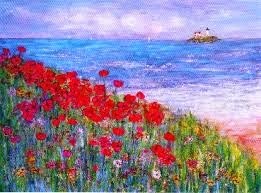 The poem tells the story of a poppy seed pod that is cast by the sea upon the shore and takes root in the sand. 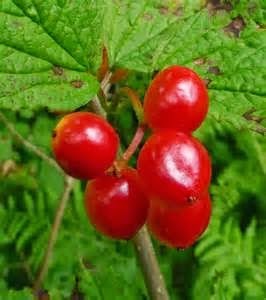 The wild fruit produces a strong, equally wild plant that is unusually beautiful and fragrant. The poem may be an allegory for H. D. herself. Once, to the horror of on-lookers, she waded out into the ocean. Transfixed or in some kind of ecstatic reverie, she allowed the waves to buffet her until she was knocked unconscious. *Note: This will link to the September 2014 issue only until the next issue is published. Look in the archives if you don't find the issue here. From the Editor: My fantasy/mythology poem, “The Battle of Shuhyung and the Yellow Emperor” (Rhyming, 34 lines) now appears in the 2014 Autumnal Equinox issue of Eternal Haunted Summer http://eternalhauntedsummer.com/issues/autumn-equinox-2014/the-battle-of-shuhyung-and-the-yellow-emperor/. 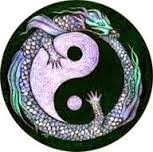 The poem was inspired by the Taoist myth of the origin of the universe featuring Shuhyung (the force of dark matter), the Yellow Emperor (the force of light), and Niuka (the horned dragon & ally of the Emperor). I first learned of this interesting origin myth in The Book of Tea by Okakura Kakuzo. Also, fans of Adele Gardner’s work will be happy to find her “Black Cat Spare” in the same issue of EHS http://eternalhauntedsummer.com/issues/autumn-equinox-2014/black-cat-spare/. Ms. Gardner’s work also appeared in the August 2014 issue of Songs of Eretz Poetry E-zine, and more of her work is forthcoming in the November issue. MOOC ModPo Poem of the Day: "Sea Rose" by H. D.
The Songs of Eretz MOOC ModPo Poem of the Day for September 22, 2014 is "Sea Rose" (1916)* by Hilda Doolittle (aka H. D.) (1886 - 1961) (below pictured). An extensive biography and references may be found here: http://www.poetryfoundation.org/bio/h-d. The poem is in the public domain and therefore legally reprinted here. A rose is never just a rose in modernist poetry, never the Victorian symbol of purity, beauty, and love. This Victorian sentimentality is exactly that against which the modern poets of the early twentieth century were rebelling. A "sea rose" is, therefore, no ordinary Victorian rose. A sea rose is to an ordinary rose as driftwood is to ordinary wood. A sea rose is hardened, cleansed, scarred, stripped of the natural rose's delicacy, skeletal, with a scent that is salty not sweet. This special rose may be a metaphor for H. D. herself--a feminist individualist who, much like Sylvia Plath, found herself trapped, restricted, and stifled in a world where Western women were not allowed full freedom of expression. Through poetry, H. D. was able to compensate in part for this reality. However, she, like the sea rose, tough and rugged though it may be, was still subject to the mightier powers of the world in which she lived--still an object to be tossed by the waves onto the sand. The Songs of Eretz MOOC ModPo Poem of the Day for September 21, 2014 is "Gray Room" (1917) by Wallace Stevens (1879 - 1955) (pictured). A brief biography and references may be found here: http://www.poetryfoundation.org/bio/wallace-stevens and here: http://eretzsongs.blogspot.com/2014/01/review-of-thirteen-ways-of-looking-at.html. The poem is in the public domain and therefore legally reprinted here. Wallace Stevens was active in the Imagist movement of the early twentieth century. "Gray Room" is a good example of the Imagist aesthetic, which involved the use of ordinary, common language, irregular free verse, and words chosen for their precision rather than for ornamentation, in order to produce poetry that created a clear image of the subject--and no subject was considered out of bounds. "Gray Room" could be an ekphrastic poem. It is easy to envision the poet describing a painting or sculpture in an attempt to bring a precise image of it to mind. It is also possible that the poet was describing a real person from a hidden observation place, perhaps voyeuristically peering into a private home through a window. However, "Gray Room" goes beyond mere description. It starts with the word "although." This beginning causes the reader to read the poem and see the image, yes, but to read in anticipation of some revelation or insight to resolve the "although." The final line resolves the issue and adds a mysterious backstory, perhaps imagined, to the life of the lady described--for, "although" she may appear calm and collected, she is actually nervous. The Songs of Eretz MOOC ModPo Poem of the Day for September 19, 2014 is "It isnt for want" (the poet omits the apostrophe in "isn't") by Cid Corman (1924 - 2004) (pictured). A link to the poem may be found here: http://www.writing.upenn.edu/~afilreis/88v/cormanwant.html. An audio recording of the poem by the poet may be found here: https://media.sas.upenn.edu/pennsound/authors/Corman/Corman-Cid_Poem-beginning-it-isnt-for-want_KWH_11-19-01.mp3. 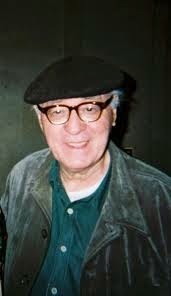 A brief biography and references may be found here: http://www.poetryfoundation.org/bio/cid-corman. Cid Corman spent much of his life living and working in Japan, and his poetry was influenced by it. "It isnt for want" is arranged in haiku-like tercets. Each line contains exactly five syllables. The end words of the first and last lines of the second stanza are assonant, and those of every line in the final stanza are consonant. The omission of the apostrophe in "isn't" may have been a nod to the traditional way of presenting haiku, although he does include capital letters, Dickinson dashes, and even italics. The poem speaks to the every poet's desire--to be heard by a listener or read by a reader. The poet lacks not words, as the first stanza reveals. He desires only to have you, the reader/listener, hear or read his words, as long as you will stay, and as long you you exist. Kris Kobach’s mishandling of the withdrawal of Democrat Chad Taylor from the US Senate race is beyond the pale, and Senator Pat Roberts’ response to it causes me to question the Senator’s judgment. I am withdrawing my support from Kris Kobach and quite possibly from Pat Roberts as well. Kansas law states (I paraphrase) that in order to withdraw from a race, a candidate must do so in writing before a certain deadline, and that the withdrawal letter must include a reason why the candidate is or would be unfit to carry out the duties of the office if elected. Now, that is a poorly written and possibly unconstitutional law--a candidate should be able to withdraw at any time for any reason or no reason. A person cannot be forced to work against his will, the incarcerated perhaps excepted. However, questionable though the law may be, Mr. Kobach was within his prerogative not to accept Mr. Taylor’s withdrawal letter, as the letter clearly did not include any reference to unfitness to serve. Mr. Kobach missed an opportunity here to rise above partisan politics by refusing to enforce a bad law. However, he chose partisan politics over principle and enforced the law to the letter (pun intended). This I could forgive, the missed opportunity notwithstanding. But today Mr. Kobach did something that I cannot forgive. Former US Senate candidate Chad Taylor wound up having to sue the state of Kansas in order to have his name removed from the ballot. The Kansas Supreme Court rightly decided in Mr. Taylor’s favor and ordered Secretary Kobach to remove Taylor’s name. Here was another opportunity for Mr. Kobach to rise above partisan politics. All this supposed lover of our system of checks and balances had to do was respectfully disagree with the court and grudgingly comply. Were he a real prince, he might have even said that while he was disappointed with the court’s decision, he remained thankful that the governments of Kansas and of our country have a separation of powers. Instead, Mr. Kobach announced today that he will withdraw Chad Taylor from the ballot, but the Kansas Democratic Party must offer a candidate to replace Taylor on the ballot by September 26...or else. So, he intends to force the Democratic Party to run in a race in which they have chosen not to run? This from an outspoken opponent of Obamacare on the grounds that Americans should not be forced to buy health insurance if they don’t want to do so? This response is not just out of control. This response is ABOUT control. This response reveals that Mr. Kobach does not really care about freedom of speech, freedom of assembly, or even the right to vote. This response reveals Kris Kobach for what he truly is: a Machiavellian demagogue who cares only about his own partisan political ambitions. I never thought that I, a politically active Republican, would ever say this, but I agree with Democratic Chairwoman Joan Wagnon when she said that Kris Kobach “cannot be trusted.” I will be voting for his opponent, Democrat Jean Schodorf, and encourage all of my loyal readers from Kansas to do the same. 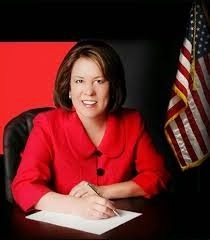 Information about Ms. Schodorf and her campaign may be found here: http://www.jeanforkansas.com/in_the_news. 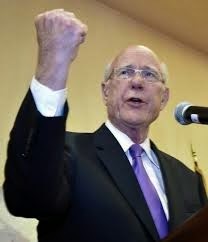 Senator Pat Roberts’ reaction to the Kansas Supreme Court decision is not only blatantly partisan but also laughable. Mr. Roberts went on record as being against the court’s decision, and then went on to say that Kansas Democrats have been “disenfranchised” by the removal of Chad Taylor from the ballot. 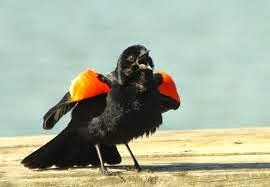 PUL--EASE! 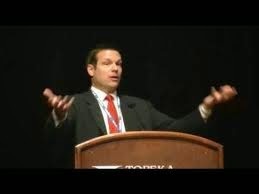 Far from being disenfranchised, with Chad Taylor--who had no chance of winning--out of the way, the Democrats in Kansas now have a viable chance to elect Independent candidate Greg Orman to the US Senate--a man who, conservatively (pun intended) supports at least fifty percent of the principles that Democrats hold dear. Kansas Democrats know perhaps better than most that half a loaf is better than none. Kansas Democrats may actually have a chance for at least some of their views to be represented in the US Senate for the first time since the Great Depression--a fact that Roberts well knows. Mr. Roberts missed the same opportunities as Mr. Kobach to be a man of principle instead of partisan politics. It would have been so easy for him to claim the moral high ground. The fact that he did not calls his judgment into question. I, for one, am going to give Greg Orman a second look. Songs of Eretz Poetry Review is pleased to present yet another MOOC ModPo bonus feature, "Foreclosure" by Lorine Niedecker (1903 - 1970). A link to the poem may be found here: http://www.poetryfoundation.org/poem/247082. A brief biography and references may be found here: http://www.poets.org/poetsorg/poet/lorine-niedecker. "Foreclosure" contains eight short lines of free verse arranged in three stanzas--a quatrain followed by two couplets. The first two lines establish the bleakness of the home that is about to be foreclosed. The walls are bare. The abutments are not fancy--they are made of cement. 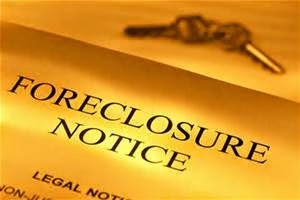 The third and fourth lines are a bitter jab at the lawyers and bankers involved in a foreclosure. The obvious pun on clause/claws is referenced in the next stanza with the word "scratch" and is symbolic of the pain that is being caused. The second stanza starts with "Leave me the land," a plea to allow the occupant of the house at least to keep the lot or perhaps the flowers and gardens that grow on it. However, the meaning is changed with the line that follows, "Scratch out: the land." If "the land" is "scratch[ed] out" of the previous line, we are left simply with, "Leave me," another way of saying, "Get lost!" The poem ends with a wish that "prose," here a metaphor for cold, dry legal writing, and "property," here perhaps a symbol for the injustices inherent in the capitalist system, would "die out" and leave the poet "in peace." The alliteration between "prose" and "property" and "peace" is used for emphasis--to make the wish emphatic. Songs of Eretz Poetry Review is pleased to present a MOOC ModPo bonus feature, "You are my friend" by Lorine Niedecker (1903 - 1970). A link to the poem may be found here: http://www.writing.upenn.edu/~afilreis/88/lorine-friend.html. 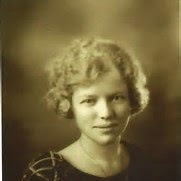 A brief biography and references may be found here: http://www.poets.org/poetsorg/poet/lorine-niedecker. "You are my friend" contains ten short lines of irregular free verse. The stanzas, with a line number pattern of 3-1-1-3-1-1, are arranged with an excess of white space between the second and third and the fifth and final stanzas. The use of the extra white space for a poet known for "condensing" is unexpected and implies that much about the friendship described in the poem has been left unsaid. The last two lines bear scrutiny. To what does "it" refer in the penultimate line? At first, it seems to refer back to "mending kit" in the line immediately prior, but that meaning does not jibe with the final line. Accordingly, "it" must refer to the friendship itself, and "hand" must refer to the poet. The Songs of Eretz MOOC ModPo Poem of the Day for September 18, 2014 is "Poet's Work" by Lorine Niedecker (1903 - 1970) (pictured). A link to the poem may be found here: http://www.poets.org/poetsorg/poem/poets-work. A brief biography and references may be found here: http://www.poets.org/poetsorg/poet/lorine-niedecker. "Poet's Work" contains twenty-one words including the title. It is arranged in three tercets of free verse. At first blush, except for an assonance between the words at the ends of the second and third lines of the second stanza, and the neologism "condensery" in the final stanza, there are no obvious poetic devices used. In fact, the lack of poetic devices may be considered to be a poetic device in and of itself, and the poem an example of the "condensed" style for which Niedecker was known. However, Niedecker did use irony here, even humor, to convey her message and story: a poet, no matter how obscure and isolated, is at least not subject to being laid off. Songs of Eretz Poetry Review is pleased to present a MOOC ModPo Bonus Feature, "I taste a liquor never brewed" by Emily Dickinson. A link to the poem may be found here: http://www.poets.org/poetsorg/poem/i-taste-liquor-never-brewed-214. Dickinson's poetry has been examined many times in the Poetry Review. A brief biography and references may be found here: http://eretzsongs.blogspot.com/2013/12/review-of-its-all-i-have-to-bring-today.html. "I taste a liquor never brewed" is in form similar to other ballads of Dickinson that have been examined previously. It maintains the quatrains customary to ballads and end-line rhymes in the even numbered lines, with some allowance for the first stanza in which the even lines do not rhyme but are consonant. The rhythm is the traditional iambic tetrameter with the occasional deliberate omission of a foot in some lines for emphasis or singing quality. The use of the Dickinson dash is ubiquitous, being used fourteen times throughout the poem, twice in some lines. The poem opens with the enigmatic statement, "I taste a liquor never brewed--". This immediately begs a question. Liquor must be brewed, so how can one taste a liquor that was never brewed?" The dash gives the reader time to contemplate this paradox, enough time to realize that "liquor" is a metaphor for something else--poetry or composing poetry. The second stanza continues in this enigmatic vein. Its opening line literally means that Dickinson gets drunk by breathing the air--a ridiculous notion. Dickinson provides not one but two dashes to give the reader time to ponder the meaning of the line. Here, we see that Dickinson meant that poetry should be spoken aloud into the air, and good poetry, when heard, could provoke an ecstatic emotional response in the listener similar to inebriation. This idea is supported by the line that follows when one remembers what dew is. Dew occurs when the air (which carries the sound of poetry) cools, forcing the moisture it contains to condense out of it and onto the surface of the earth, moistening it and helping plants grow--an important, positive, and beneficial phenomenon. Thus, Dickinson meant that her poetry figuratively extracts the important meaning from the universe in the same manner that the universe extracts moisture from the air. The third stanza does not disappoint for being enigmatic, too. Of all flowers, why did Dickson choose the foxglove? 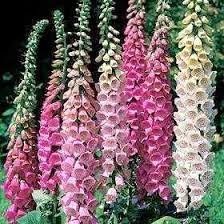 The foxglove is used to make the drug digitalis, something that Dickinson may have known. A little digitalis can help with certain heart ailments, but it has what physicians call a narrow therapeutic window, meaning that just a little too much of the drug is deadly. So, Dickinson viewed herself as capable of composing more great poetry, or "drinking" more "liquor," than bees literally drunk on nectar to the point of being killed by it and than butterflies that have tasted so much nectar that they beg off of having more. One also may wonder who are the "Landlords" and why the quotation marks? "Landlords" refers to the keepers of the "inns" of the last line of the previous stanza--those of "molten Blue--". Here, Dickinson's use of capitalization provides a clue to the meaning as well as to the use of quotation marks. "Landlords" is a metaphor for "gods" or the Muses. "Blue" is a metaphor for the sky or heaven--the beginning of a metaphor involving heavenly beings seen in the final stanza. The final stanza continues the sentiments expressed in the third stanza, implying that Dickinson is able to or will continue in her poetic rapture until "the cows come home." The "little Tippler" is Dickinson herself. The final line uses the Dickinson dash in a unique way. At first, it seems to interrupt the line. However, Dickinson used it here to build suspense, as in "leaning against the [wait for it, wait for it, wait for it…] sun [gasp!]!" She even ended with an exclamation point to indicate that the vision of her leaning against the sun is a shock or a surprise--that the power of her poetry is of such a magnitude that even the mighty sun cannot burn it, and as if to say, "Seraphs and Saints, behold the power of poetry!" New Poem: "The Truly Disenfranchised"